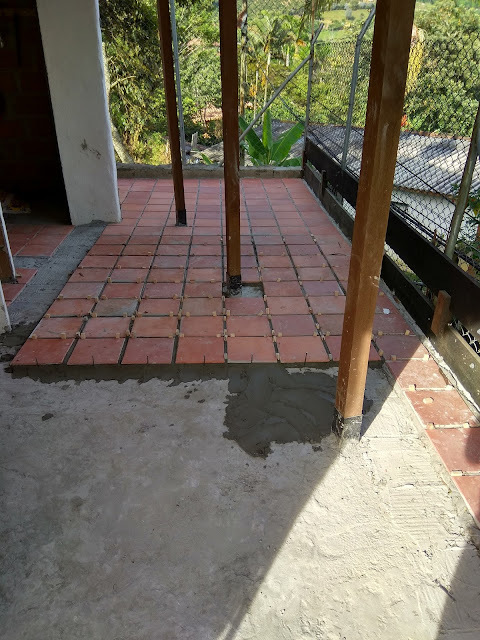 An Englishman in Colombia: Now We Are Getting Somewhere...Slowly! Now We Are Getting Somewhere...Slowly! You can see the space under the metal bar there is a good 1/4" gap, also he had laid a couple of chipped tiles, again I wasn't having that. Oscar and his Mate, eventually turned up at 9.30am with obvious hangovers, again I wasn't happy, and couldn't hide it. Oscar must have realised he was risking not getting paid, so the work he had ripped up yesterday and redone, was ripped up for a second time. 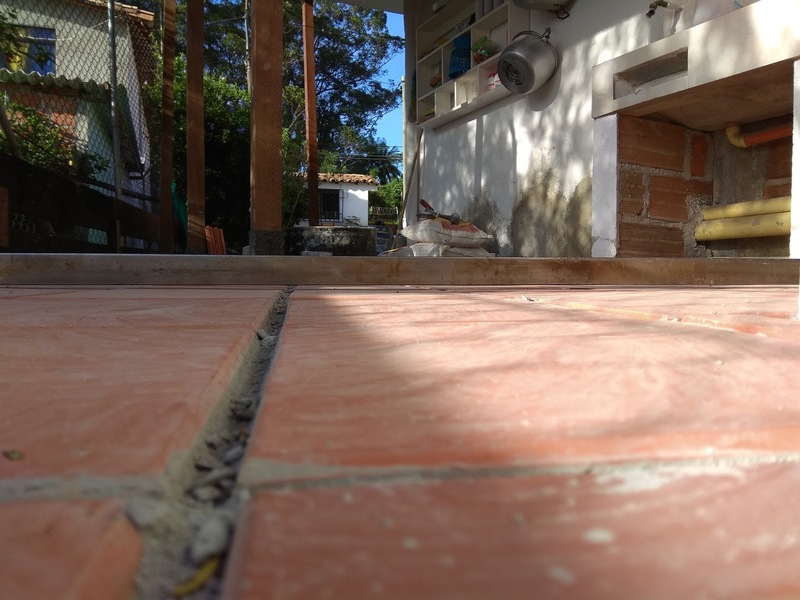 He tried to blame Diego's concreting, but the floor was the same yesterday as today, so why couldn't he have done this latest work to begin with. It's like a totally different worker was on the job, unfortunately he walked off the job at 3.30pm saying his knees were hurting, so he still has some way to go, albeit, I think he had had enough, and it has been a National Fiesta today. We have been in touch with Diego, as our contract is with him, and he got back to us stating Oscar will be here early tomorrow...we'll see.